Judging from the name of this smartphone; Sony Xperia XZ Premium is a premium device with decent specifications. After releasing the regular Sony Xperia XZ sometime in September, last year 2016; the company is here with the premium version. 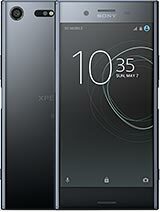 Sony Xperia XZ Premium came pre-installed with Android 7.0 Nougat, 4G LTE enabled, features a fingerprint scanner, 5.5 inches screen size with Corning Gorilla Glass 5 back panel protection. It also packs a 4GB RAM + 64GB inbuilt memory and a 3230 mAh battery capacity with fast charging technology. You can have a look at the full specifications of Sony Xperia XZ Premium below.